Filquip is a bulk materials handling equipment supplier with specialist experience in industrial dust extractors. 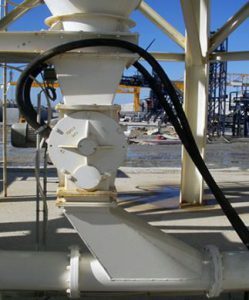 As the Queensland distributor and agent for WAM and their patented dust control systems which are renowned worldwide Filquip can provide systems from small hopper dust vents to large quarry crusher dust extraction systems. 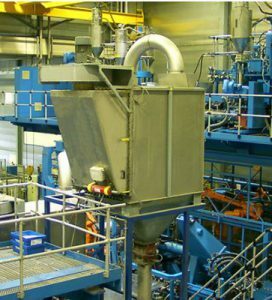 The Wamflo dust extractors are a flanged round unit designed for extraction of any kind of dust in virtually all industrial sectors. Available with a variety of Fan sizes and configurations. Filtration surface areas from 2m² to 44m². 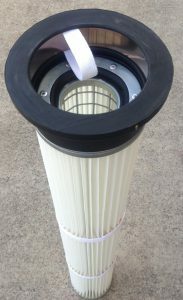 Range of bag and cartridge filter options. Robust stainless steel 304 body. Option of Front access door or top entry for filter maintenance. 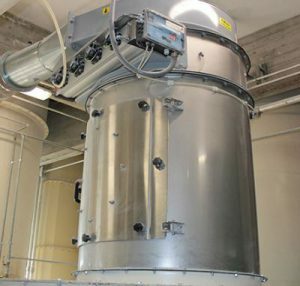 The Wamflo has maintenance free automatic reverse air jet cleaning of the cartridges to return collected dust to the silo. 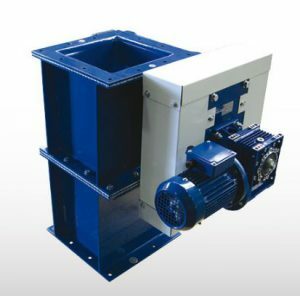 The Wamair polygonal dust extractor is a flanged unit designed for dustextraction in virtually all industrial sectors with its lower profile build. Filtration surface areas from 3m² to 70m². The Wamair has maintenance free automatic reverse air jet cleaning of the cartridges. 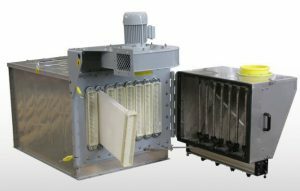 The Tecu is a modular filter designed for the extraction of fumes and dust generated by metal processing, oxy cutting and sand blasting works. 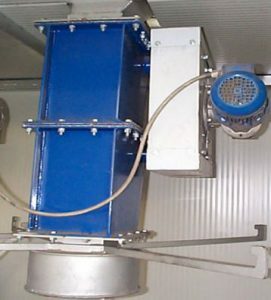 The negative pressure from the suction fan draws the fumes through the specialised filter elements inside the filter unit. Air volumes from 4,000m³/hr to 24,000m³/hr. Filtration surface areas from 74m² to 444m². The Tecu system is easily compatible with Recofil and Easyfill systems to remove operation and maintenance cleaning requirements as well as recovering product. 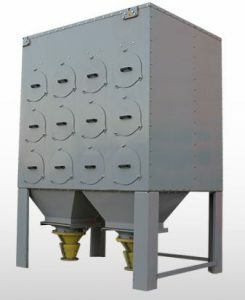 The Drybatch dust collector is specifically designed to capture and filter the dusty air generated during concrete truck loading and mixing processes in batch plants. 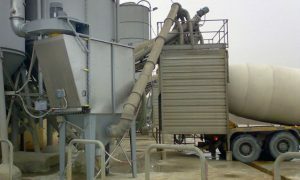 It is the ideal dust control solution for the concrete and cement industries. Filtration surface area 54m² with an 11kW fan. The body and door are made from Stainless Steel 304 and the frame from painted mild steel. 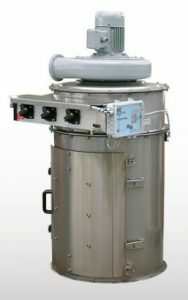 The Drybatch dust extractor has maintenance free automatic reverse air jet cleaning of the cartridges. 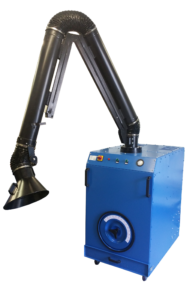 The mobile welding fume extractor is a low noise, high efficiency and high air flow unit. 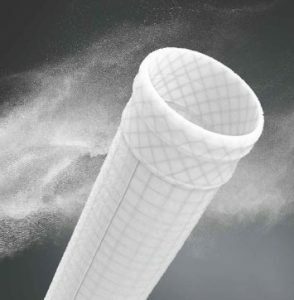 Filquip can supply dust filter bags or cartridges for almost any system. We pride ourselves on being able to deliver solutions for the dirtiest, stickiest, hottest and nastiest products. 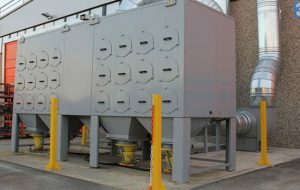 General enquiries and challenges to find solutions to dust collector and bag house problems are welcomed. 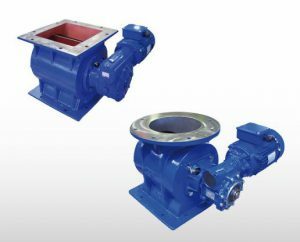 Filquip provides a range of TOREX rotary valves to provide an airlock on a dust collector outlet, meter solids from a hopper or silo or place product into a blower pneumatic conveying system. Drop through and Blow through options in Cast iron, Stainless Steel 304 & 316, Chromed, Teflon and Nickel plated. Round inlet diameters of 150,200,250 & 300mm. Square inlet dimensions of 150,200,250 & 300mm. Rectangular inlet dimensions of 170×122, 238×135, 276×148, 377×196, 470×240 & 569x284mm. Capacities of 2, 5, 10, 20, 35 & 80 L/Rev. Working Temperatures from -40°C to 150°C. 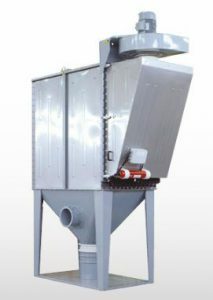 An ideal solution for controlled discharging of particularly high temperature or abrasive, large particle size materials. Square Inlets from 200×200 to 500x500mm. Throughput capacities from 1.2 to 17.7m³/hr with a working temperature up to 500°C.